This bead necklace features a combo of purple, green, and gold colors that light up. The LED lights flash in random patterns as soon as you activate the necklace. It’s perfect for night events or parties in darker rooms. All necklaces are 36” standard size that will fit around most necks. Garland adds a bit of flair to almost any room design no matter what the occasion. We carry 2”x9’ tinsel garland strands that will cover the entire area. You can get your garland in red, silver, purple, green, and gold colors. You can also get color combo designs to suit all tastes and styles. Toomey’s carries a spread of dinnerware including spoons, forks, plates, napkins, plastic cups, table runners, beer steins, plastic tumblers, and bottle holders. You can buy them individually or get them in sets. All products are under $20. Check out one of our customer favorites – the comedy/tragedy plate. Costume parties are always fun. Tutus make the perfect accent for any costume you have on. You can get your tutus in just about any color imaginable. Throw on some stockings and a bright t-shirt and you’re ready to go. Tutus come in both adult and child sizes for the right fit! Whether you’re on the float or on the street, no parade is complete without throws. Toomey’s carries a wide array of throws that are safe, fun, and filled with lots of bright colors. You can choose from sunglasses and snake whistles to stuffed animals, plastic flying saucers, and feather clips. OH, and don’t forget the customizable plastic cups. Ask us about designing your personalized cup for your party! Show your team spirit with sports beads. We carry beads for football, basketball, baseball, and other athletic events. You can have your beads custom printed for your favorite team or just pick the color you want. Toomey’s is also your home for New Orleans Saints décor and apparel. Geaux Saints! No party is complete without the snacks. Toomey’s carries a variety of gum and candy packs that are sure to please any guests young or old. We have popcorn, mixed candy, cookies, bubble gum, and even peanuts. Check products for pricing as some of them do not fall under the $20. Do you have a wedding coming up? What about a bar mitzvah or a graduation? No matter what the event, confetti poppers add a lot of energy and sizzle to any party. The poppers are packed with large, multicolored paper confetti and even longer stream foils. Simply hold the tube and twist the bottom. Watch out, the confetti will explode!! Top off your next event with an assortment of party hats. You can go out with wild designs and bold styles sure to match any outfit. You can choose from Jester hats, peace sign hats, headbands, Spanish hats, witches hats, and even spiked wigs. If you’re looking for something a little more mainstream, then go with a black fedora or derby hat. If you want to go all out for your upcoming festivity, Toomey’s has all of your favorite party decorations. We also carry tea towels, mesh rolls, wreaths, and string lights by the yard. We have everything you need to set the mood for your party. 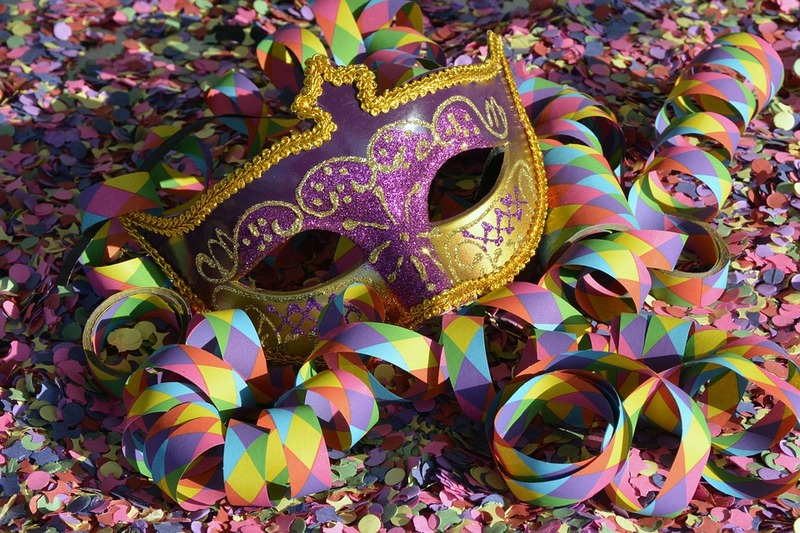 If you are looking for the ultimate party supplies, then contact Toomey’s Mardi Gras here in Mobile, Alabama. We have a huge inventory of festive items that suit any occasion. Call us at 877-450-5077 and let us help you get the party started!